Refraction Makes A Ray of Light Change Direction. Thankfully education can sometimes help people to change too. Please continue to support those working to end bullying and helping to make our world a kinder place. Inspired by The Daily Post Weekly Photo Challenge: Refraction and National Bullying Awareness month. First, do not avoid anyone just because you do not know what to say. Of course, you do not want to say the wrong thing and inflict more pain, but an e-mail, a card, or a voice mail saying just that can mean so much. Just knowing someone cares can provide comfort. Complete silence says no one really cares. Second, while I appreciate that you have concern for the parent and believe me I am grateful for your support; it means more when you express your love and support for the child. Those who imply they feel sorry for the parent seem to be implying that they do not understand the severity of the pain the child is experiencing. In effect, they are implying that the child is inflicting pain on others by being wounded. This doubles the pain of the parent who knows this is not the case. Third, if you know the child, please acknowledge her by sending a short note saying that you are thinking of her. Please realize your support matters even if the child cannot respond during this time. However, if you do not know the child, it is okay to let the parent know that you are thinking of them. All support matters to the entire family. Lastly, please do not assume that all is magically okay when the child is no longer in the environment where the bullying took place or if she has returned to school. Deep wounds might not heal quickly despite appearances. But, if you continue to show your love and support, you will help them to heal more quickly. 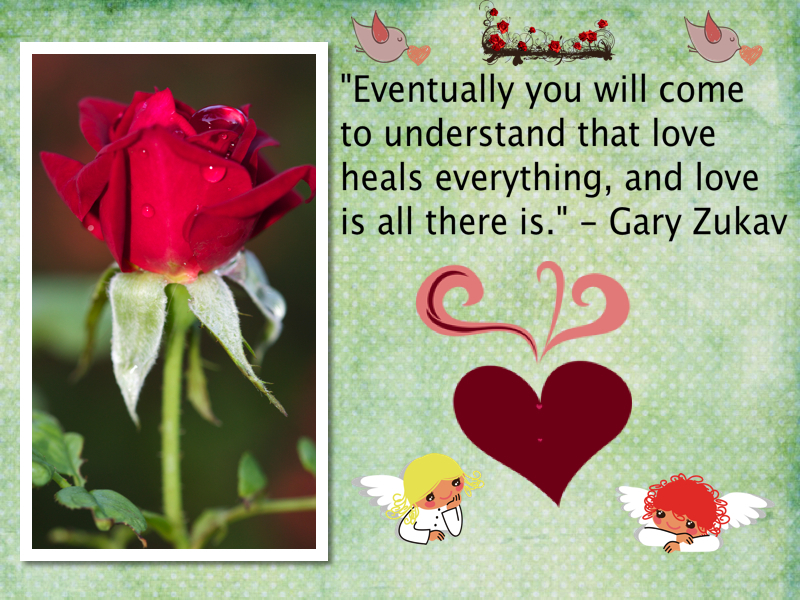 I believe in the healing power of God’s love, so I like Gary Zukav’s quote. Today I am grateful for all who are helping to educate others about ways to create a bully-free world and for those who continue to give my family love and support. cowboys, clowns and men of war, someone else’s friend. Pegasus and flying fish and woodmen made of tin. Do you see the flying fish? 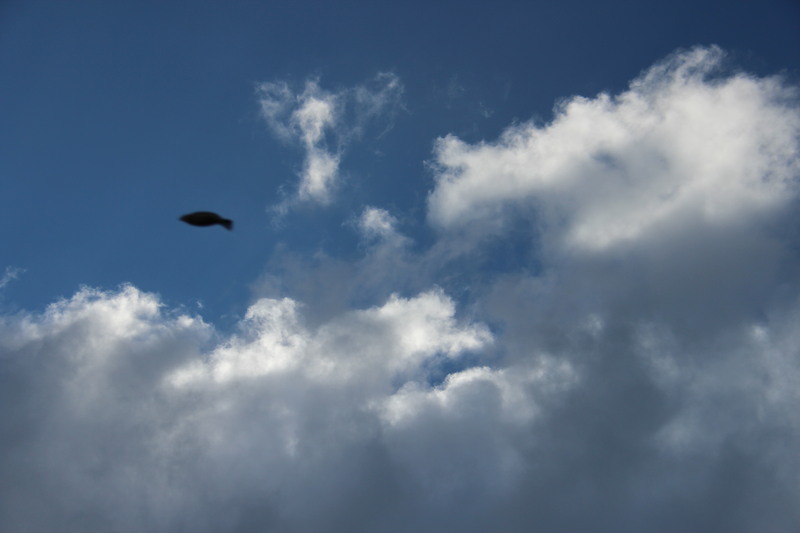 It is really a bird, but it looks like a fish doesn’t it? If you use your imagination you can see an angel just above and to the right of him. I do not have a woodmen made of tin cloud picture, so you’ll have to use your imagination for that one. 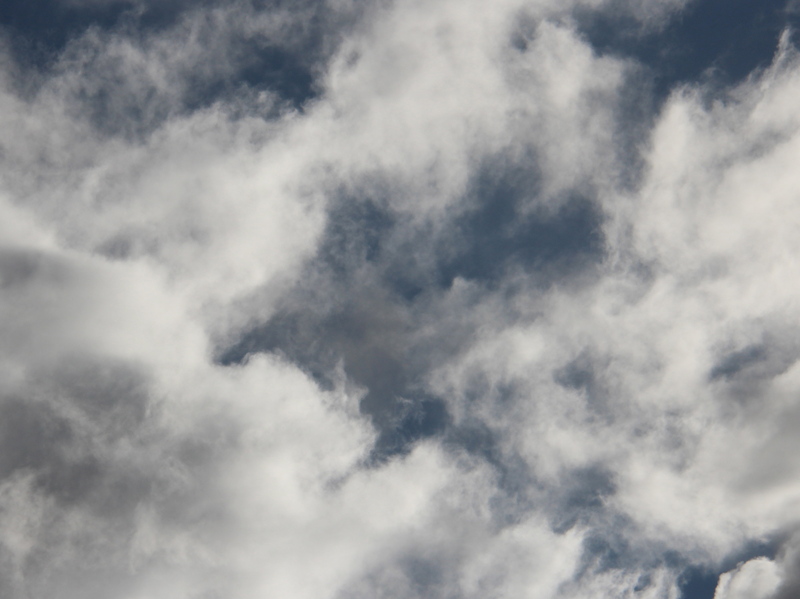 You see in the words of Joni Mitchell, “I really don’t know clouds at all.” But, I do know that perceptions of autism frequently are illusions based on limited experience, and I know that nine and ten-year olds or anyone else should not experience bullying. I know it grows into scars and pain. I had a dream when my daughter was born. A dream of a life filled with joy and happiness, of a house filled with her friends. I imagined them walking to and from the mall together chatting along the way. I believed with all my heart that it would come true. The bullies and the teacher who had an illusion of Asperger’s and the long-term effects of bullying put a huge hole in my dream, but they did not destroy it. Her future still holds promise. She dreams of leaving this island and going away to college to somewhere no one knows her. She dreams of starting fresh. She can still grow up and live a full life. She will make friends that share her interests and see her kind heart one day. Tween and teenage years are not the end of her story. I know this because I have met some of my closest friends as an adult. We share a bond of friendship stronger than teenage friends. The world will be more understanding one day because I and others refuse to allow it to be otherwise. Most of us know some variation of the famous line by George Santayana, “Those who cannot remember the past are condemned to repeat it.” Yet, we keep repeating past mistakes again and again. Most of us admire people like His Holiness, the fourteen Dalai Lama, Mahatma Gandhi, Nelson Mandela, Mother Teresa, Martin Luther King, Jr. and others who showed the world that there are gentler solutions to problems facing society. So, why do we continue to support meanness by failing to speak up when we see it and when we know it is wrong? How can we teach our children to learn from their mistakes if we fail as citizens of the world to learn from ours? You may be asking yourself, “What mistakes?” Only you can answer for yourself. Let your heart be your guide. I firmly believe mistakes are our best teachers. I hope so anyway since I have made more than I like. However, this post is about our future, our children. Bullying has been around forever. That kid had it coming! Don’t play with that kid! I don’t like their parents. That kid just needs a spanking! That kid should be expelled! Those parents should be sued! This does not feel right! Why would this be okay? Should we really do that? What happened to liberty and justice for all? That is what it says right? Not liberty for the majority, or just some, or just the ones who are like us? No one will listen to me! Support those in your community who speak out if you are not comfortable speaking out yourself. Contact someone you admire who is speaking out and let them know that you are grateful for their voice. Tell your children why it is important to speak out and to back up other children who speak up if they do not feel they can do it themselves.